HUGE INVESTMENT OPPORTUNITY!! Take a look at this 2006 metal commercial building with everything you need for your new or existing business! 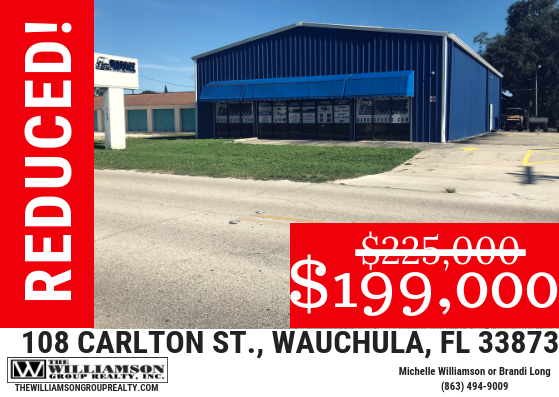 This property features amazing curb appeal to draw customers right in, a sparkling show room, 2 restrooms, a private office, an enormous storage space in the rear of the building, security cameras, a forklift, a bay door and all commercial shelving! Located in the heart of Hardee County, you will have excellent signage and ease of access to your investment! This property is on a block that fronts Highway 17 which has an extreme amount of traffic daily! Don't miss out on your next investment!